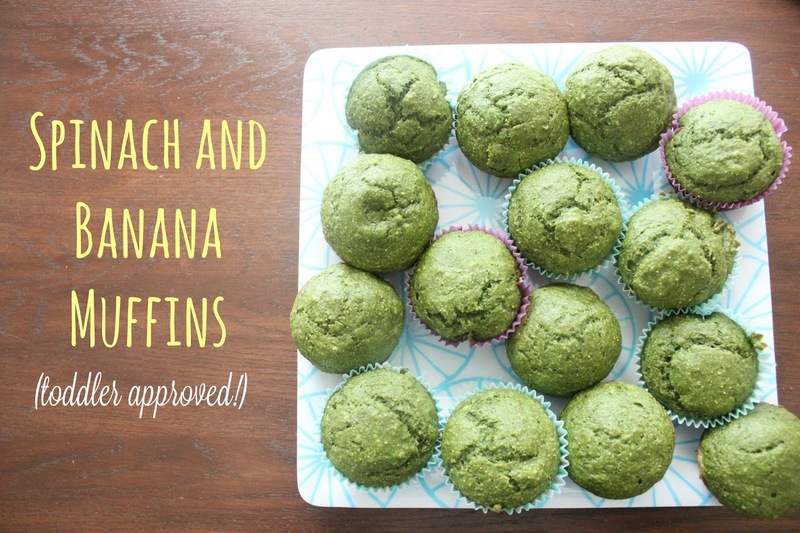 Who would've thought this recipe would be my favorite kid friendly one that I've posted so far? Definitely not me! But I've got to give it to these these little green puffs of goodness-I had my doubts but they have me so, so pleasantly surprised! Camden is still a really great eater (and isn't very picky), but there are times I can tell he gets sick of the same vegetables served in the same way. He gives me this little smirk like, 'these again, ma?' Well, these little guys help switch things up a bit! 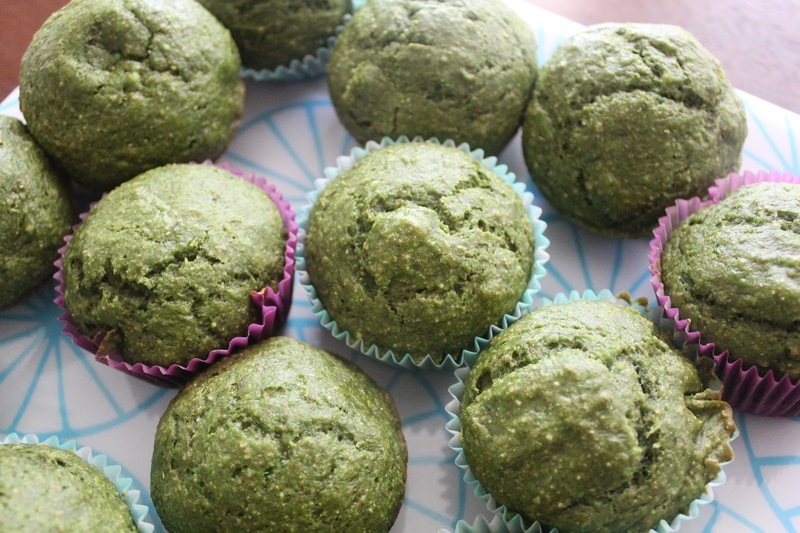 These muffins are seriously perfect for getting some greens in him, and without him really knowing it because they don't just taste like spinach! I can only imagine how many times I will be making these as his little toddler personality and tastes develop more and more....I just hope he continues to love them as much as he does now! They are really tasty, trust me. Make them right now...or tonight (don't forget to pin it! )...aka just do it! Directions: Preheat oven to 350 degrees and line two 12-cup muffin pans with paper liners. Whisk together dry ingredients in a large bowl: flours, sugar, baking powder, baking soda, cinnamon, and salt. Set aside. In a blender, place oil, milk and spinach. Blend on high for about 30 seconds or until completely pureed. Add banana and vanilla, blend on low just to mix. Pour pureed mixture into dry mixture and fold together with a rubber spatula until combined. Fill muffin cups about 2/3 full and bake 18-20 minutes or until a toothpick inserted into the center comes out clean. More recipes you might like: here and here! Love this! Can you freeze the extras? yes you can! and thank you :) glad you like it! Yes! Ive been waiting for you to post these!! Can't wait to try them for my little boys! Thank you (And I totally know the face cam makes because I think my boys make that same face too!! hahah!)!!! You mean I could get my Cam to eat something green? Must try! I ‘d always dreamed of walk through the world but never carried it out.Good luck to you! And may you enjoy your Walk!